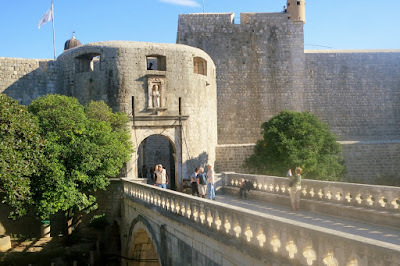 We woke up to a beautiful morning with 25 C. After breakfast, we sat on the balcony and followed the entrance to Dubrovnik. We docked at noon. After lunch we took a shuttle bus the four km from the cruise terminal to the old town. We bought the transfer at the ship for € 12 pp - cheaper than a taxi. Dubrovnik, known for the old town there is a pedestrian area with straight streets. The town has several churches, monasteries, and the Old Town Hall, from the period year 1200-1600. The city is surrounded by a very well-preserved city wall, which is 2 km long, 25 m high and most places 6 m thick. There are four gates into the city - we went through 'Pile Gate' (top picture). In the wall there are many towers and two high corner fortresses. 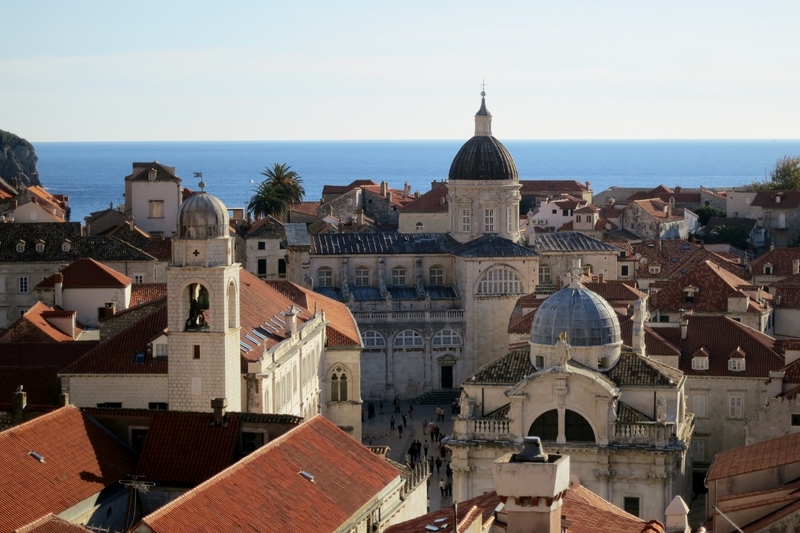 We started with a walk around the city walls, a lot of stairs up and down, and incredible views of the city churches and houses (photo) and the sea from the high wall. We went all around the city on the wall. After the wall went for a walk around town and looked at the churches and streets - an incredibly clean city. Late afternoon we took the shuttle back to the ship. After a drink at the bar, we ate dinner in the restaurant ´King & I'.